Space BD, a Japan-based space business development startup, today announced that it has signed a distribution agreement with Dutch company Innovative Solutions In Space (ISIS), to be the distributor of ISIS’ small satellite solutions and components for the Japanese market. 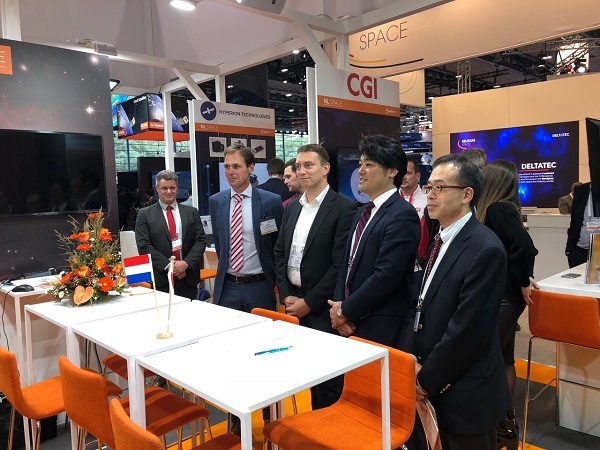 The agreement was signed on the occasion of the Netherlands-Japan Space Industry Event at the 69th International Astronautical Congress (IAC) in order to confirm the intention of the two parties to build up long-term strategic relationship, especially in the development of commercial Low-Earth Orbit (LEO) and nanosatellite markets. While this agreement gives Space BD only distribution rights to ISIS’ services, it may be expanded in the future, with additional products and services. The agreement is part of the Netherlands-Japan partnership, which sees the Netherlands Space Office (NSO) and Japan’s space agency, the Japan Aerospace Exploration Agency (JAXA), cooperating in promoting the space industry. The two agencies hope the agreement will be the first step to more commercial exchanges between Japan and the Netherlands in the area of space, and act as a model for the greater Europe-Japan cooperation agenda. Earlier today, Space BD also announced the continuation of its partnership with US-based NanoRacks, which will see Space BD contributing to NanoRacks’ research on the commercialization of human spaceflight in LEO. The research will be conducted as part of a NASA study initiated in August this year, with NanoRacks acting as one of NASA’s partners. NanoRacks, in turn, has selected 13 industry partners who will contribute to research in every aspect of developing a human civilization in space, including in-space manufacturing, insurance and space tourism. As one of the 13 partners, Space BD will contribute its expertise in in-space satellite deployment. The announcement today follows on from a Memorandum of Understanding (MoU) signed between Space BD and NanoRacks in March this year for the deployment of satellites from JAXA’s Kibo module at International Space Station (ISS). This is part of JAXA’s efforts to commercialize its ISS module.